I love the title of this blog post, because it makes it sound like I am at a lakehouse, dreaming, instead of sitting in front a computer all day, surreptitiously visiting web sites that list lakefront properties and summer houses, and wishing that a giant box of money would accidentally fall out of the sky and hit me. I can’t stop haunting this gateway drug of a cottage website, looking at properties in other states that are so, so cheap, and surely those lakes are pristine and lovely and dear Lord why doesn’t someone just buy me a cottage already because that Vera Bradley luggage in the hall closet needs a destination point, and I need a place to show off my lovely summer pedicure. 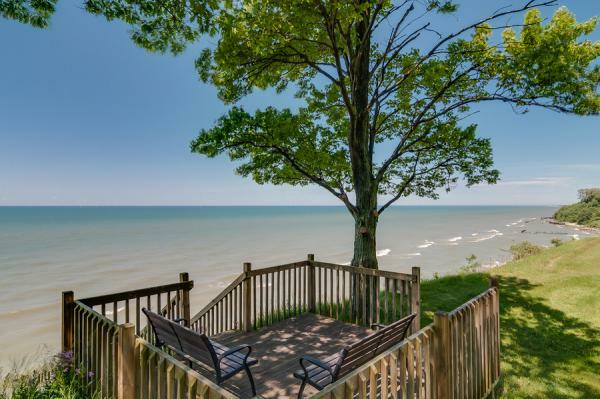 Surely one of you would like to buy me this lovely Lake Michigan cottage, right? I would let you come visit for a weekend, cook you some dinner, serve you the premium liquor. Isn’t that a deal you want to take? Look here – if you bought this for me, you and I could be sitting here, right now, having a drink together. Let’s make it happen, people! I don’t want to sound like I am putting words in the Lord’s mouth here, but I am pretty sure that he wants the next step in my real estate game to be the purchase of the Lake Geneva cottage built for the heiress to a major Wisconsin brewing fortune.Do you see how flexible I am? That house, above, is on Lake Michigan, and this one is several states away. Isn’t this exactly what your summer house is supposed to look like? Can’t you see us day drinking and playing croquet here? The longer I web surf for cottages, the more snobby and demanding I get. 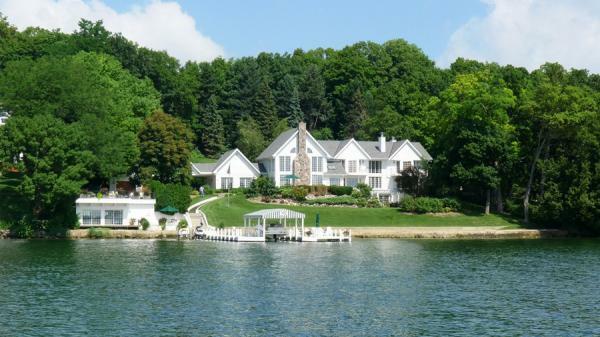 “Oh, this one is cute and all, but it is lake access, not lakefront. Surely I can’t be expected to walk across the street to get to a beach? I would DIE,” and, “Oh, that cottage is cute, but that lake it is on is too small.” You know, the kind of judgy-ness appropriate from someone who does not have the ability to buy one grain of sand in a rat-poop filled city playground sandbox, much less a home on the water. But doesn’t summer make you dream of this? Of packing up the car and running away from the city every weekend? Of inner tubing, and fishing, and the smell of damp towels and wet dog and cold gin?